Hello Reno lovers. It’s time for a trip report! This was a solo trip for me. I had not been to Reno alone in more than 2 years so it was very, very nice to have some time to myself and to do things on my own timeframe for this trip. 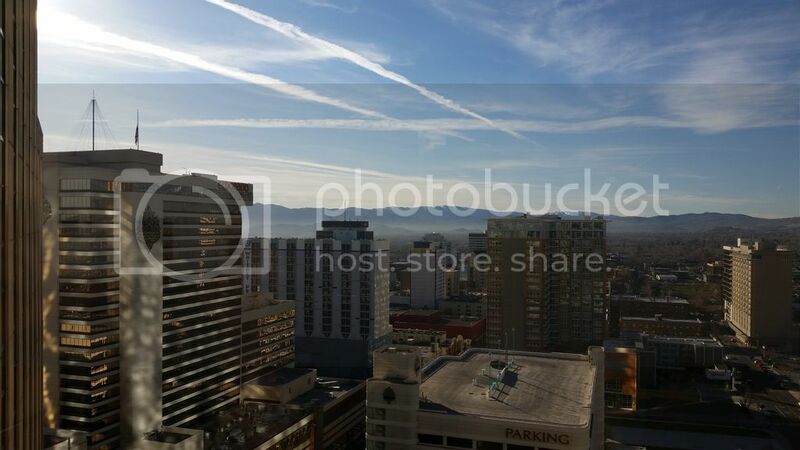 My Reno adventure started on Sunday, February 28. Unfortunately Alaska Airlines did not have the very convenient 10:00 a.m. departure time from Seattle as it did on my last trip back in October. So that meant getting up at o’dark thirty, or 3:30 a.m., to be precise! Yikes! Left the house by 4:30 for the more than 1 hour drive to the airport. Got to the airport by 6:00 and enjoyed a very light breakfast in the airport prior to my 7:45 departure. On my way to Reno! Woo hoo! 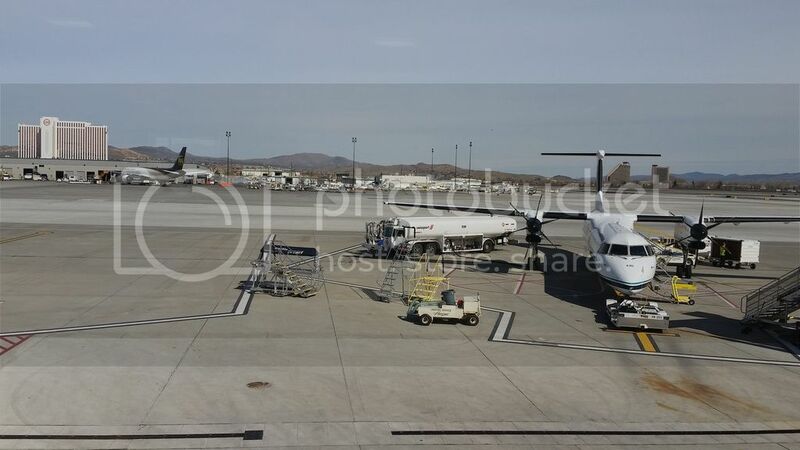 An hour and 38 minutes later I landed in my beloved Reno. Took the shuttle to SL and arrived there around 10:00. Of course arriving at SL that early meant I couldn’t check in to my room yet so I dropped off my luggage at the bell desk and headed for brunch. 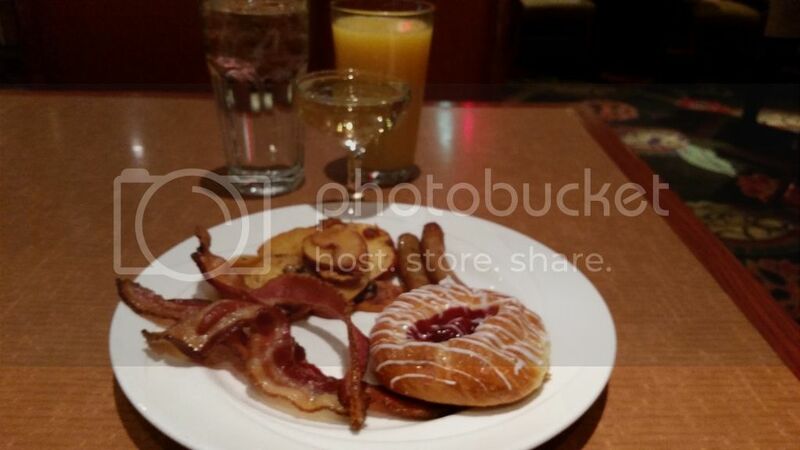 The reason I had a very light breakfast at the Seattle airport was because I wanted to enjoy the Sunday champagne brunch at Flavors Buffet in SL upon arrival as that buffet is closed on Mondays and Tuesdays so this was going to be my only day to enjoy a buffet there. Bring on the food and champagne! Let’s get this Reno party started! 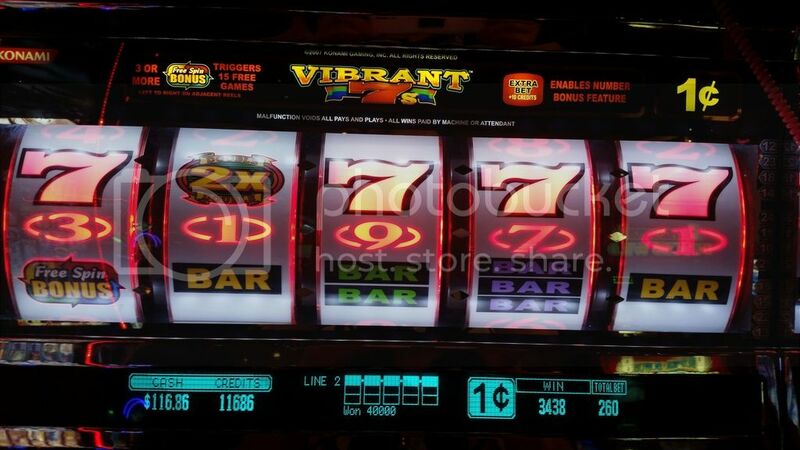 After a nice brunch and some champagne, it was time to head down to the casino and play slots of course! 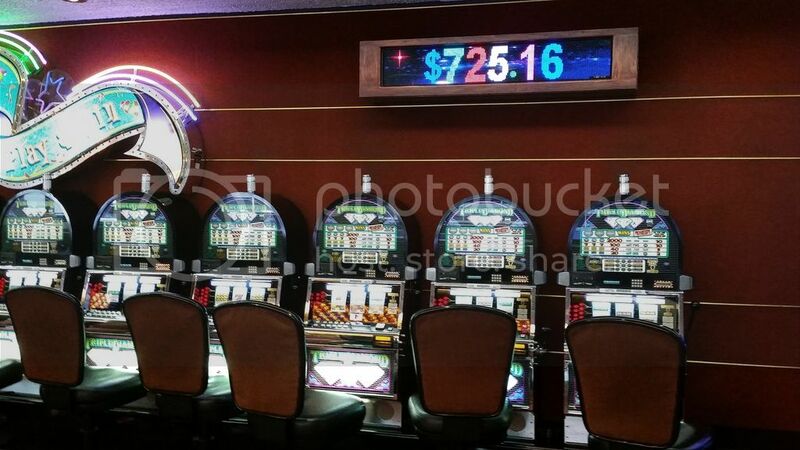 I did my usual of “making the rounds” in the casino before I started playing anything just to scope out any changes and new machines that were installed since my last visit. I gambled for a few hours, then it was time to check into my room. Since I was checking in on a Sunday I decided to ask for a complimentary upgrade to a spa room. SL was more than happy to accommodate this request. So, for the first time ever, I get to experience a room with a giant bathtub! Two of my three nights were comped and the third night was at the reduced casino comp rate. This room had the largest bathroom and largest shower I have ever had in any hotel room in any city. Very nice. Since I had a late brunch I skipped lunch entirely and just had an early dinner at Brew Brothers prior to Footloose the Musical at the Eldorado showroom. I had received a comped ticket to this show. 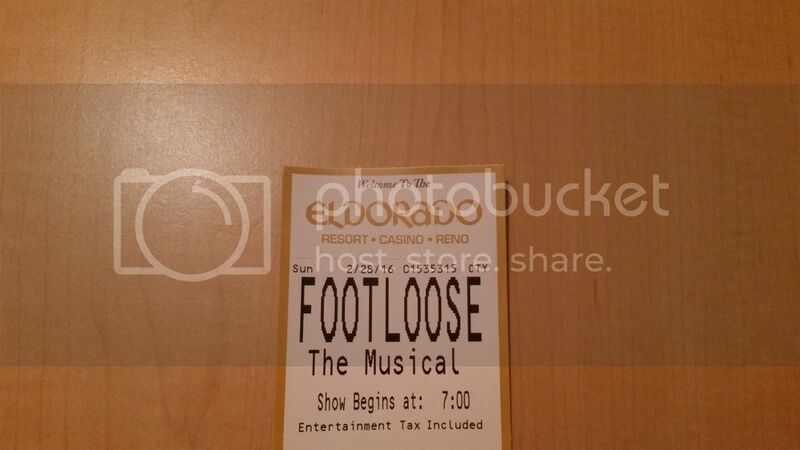 Since this was my first time ever attending a show in Reno I guess I didn’t have very high expectations as far as seating goes since I was there on a comped ticket. For some reason I thought I’d be way in the back of the theater. How wrong I was. Fourth row, aisle seat baby! The show was just ok for me. Probably not the best choice for my first ever show in Reno but it was my only option on a Sunday night. There was a lot of, yep - you guessed it, singing and dancing! No sign of Kevin Bacon but hey, it was a good time, something different, and a nice break from the casino for a couple of hours. I called it quits a little earlier than I normally would on my first night since I’d been up since 3:30 a.m. and with only a few hours of sleep the night before I was wiped out. Monday morning it was breakfast at Café Central. I had cinnamon vanilla French toast. Yum! After breakfast it was time to start gambling at places other than SL. First stop? The Cal Neva! No trip to Reno would be a complete without a visit to Cal Neva. There is just something about that place and I have to go there on every Reno trip. I gave the ole classic Rams machines a try but they weren’t interested in giving me more than $20.00. Next stop? Harrahs. 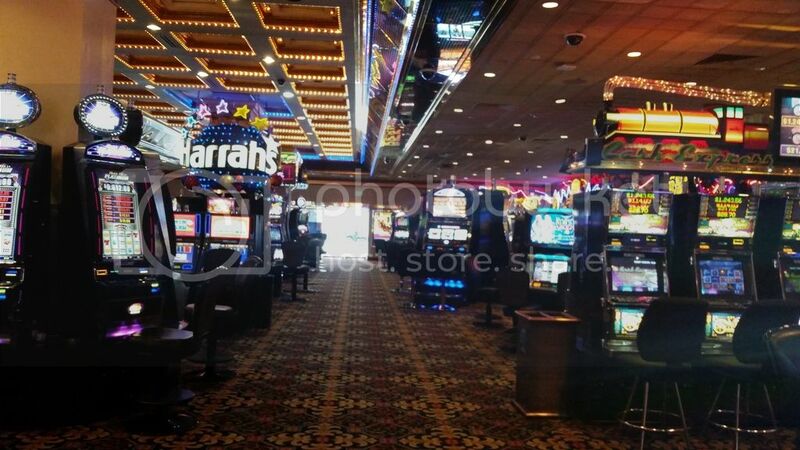 I don’t really spend much time in Harrahs on any of my Reno trips but there is a bank of Triple Diamond machines that I like to play that are up the escalator near the entrance to the buffet. 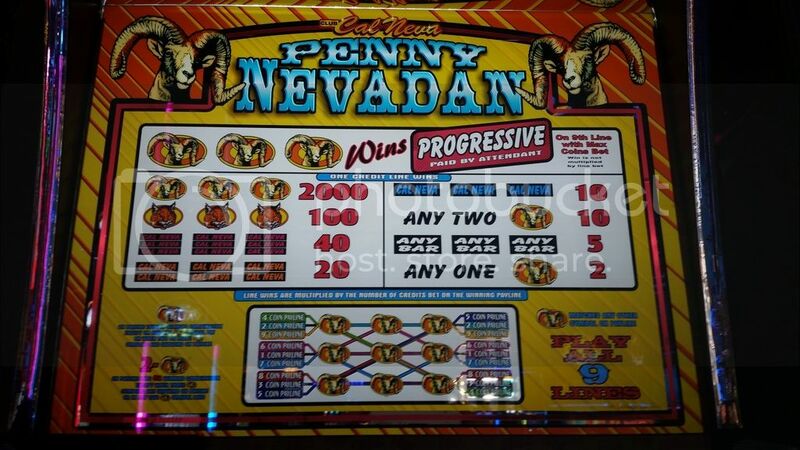 I like playing these machines because the max bet is only 90 cents. Don’t find many of those machines around anymore. 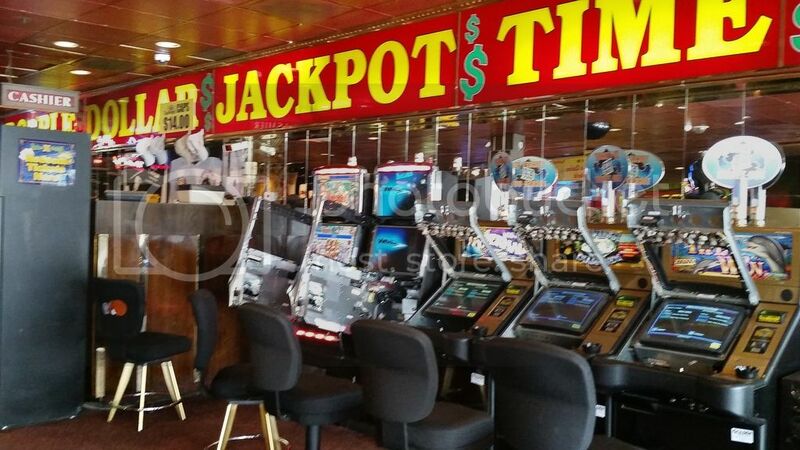 If I played max bet on a lot of the newer machines (which is $3.00, $5.00 and upwards per spin in many cases) my Reno gambling fund would be depleted in no time and I need my money to stretch over 3 days so I do enjoy playing some of these older machines with lower bets. And playing machines like this always takes me back to the “good old days” when I first started gambling and when all machines were similar to this with just the 3 simple reels - long before nowadays of sometimes too many confusing play lines zig zagging every which way, seemingly endless game rules that require a mathematician to figure out, bonus rounds, vibrating chairs, and surround sound! Don’t get me wrong, these newer games are fun too but I do also enjoy the trips down memory lane back to the simpler times. After Harrahs it was time to make a trip across the street to one of my favorite little casinos, The Nugget. I just love this little place! Friendly staff in there and good drink service. 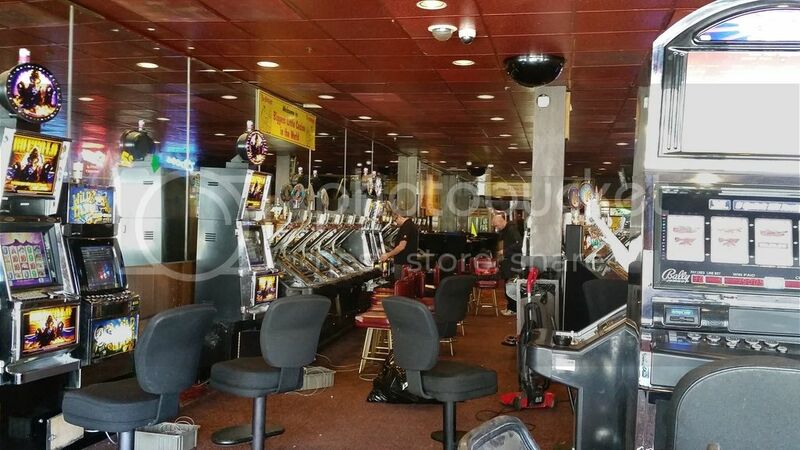 Well, I quickly discovered I was not going to be able to play slots at The Nugget on this trip. Nooooooo, please tell me The Nugget is not closing down!?! I asked one of the workers what was going on. So fear not Reno lovers, Nugget is not closing down. Monday was just the chosen day to upgrade all of their slots. 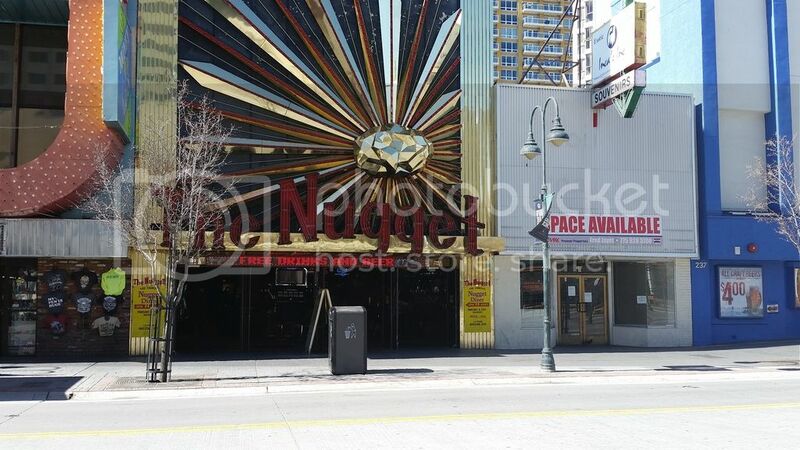 So I look forward to visiting the “new and improved” Nugget on my next Reno trip! Time to head back to SL. Uneventful gambling Monday night at SL. For dinner I just grabbed something to go from Café Central and took it back to my room to eat. Wanted to enjoy more time in the spa suite since it was going to be the last time I ever stay in one of these very large rooms (more on that later). Tuesday I enjoyed my first ever spa treatment in Reno at the SL spa. I had a 20% off coupon which was nice to help bring the price down a bit. But frankly, the price didn’t really matter to me all that much since I was treating myself to something I had never done before. I had a deep tissue massage and it was absolutely wonderful. So soothing and relaxing but also quite intense! Felt a little light headed after that one! 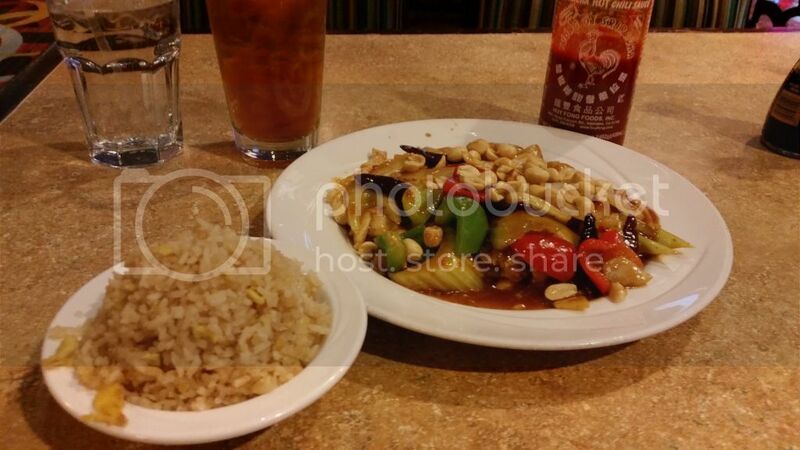 Tuesday night I enjoyed some Kung Pao chicken and fried rice for dinner! Back to the casino for my last night in Reno! 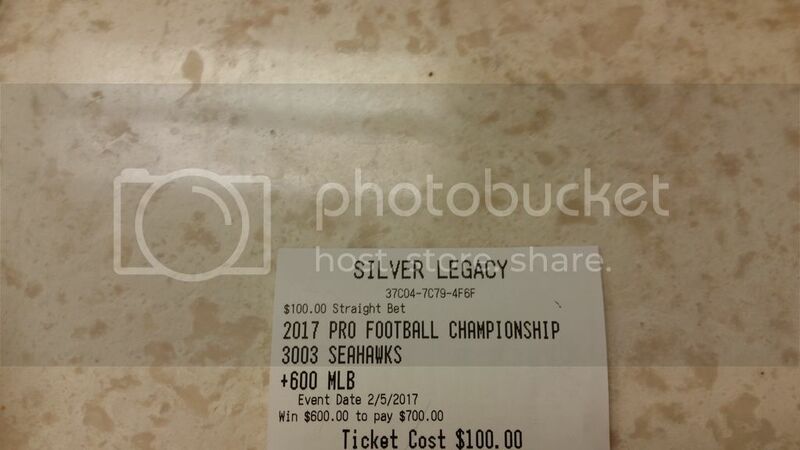 In hopes that my beloved Seahawks will turn things around next season I placed a $100.00 bet with 6/1 odds that they will win the Super Bowl next year! Oh how I would love to go cash this ticket in a year from now! Now, if I was smart I would have taken all these wins back home with me. But since it was only 7:00 pm at that point do you really think I’m going to go back to my room that early on my last night in Reno? Well of course not! I ended putting a lot of it back in and again contributing to the Reno economy, but hey, I lose all my smarts when I’m in Reno. So be it. 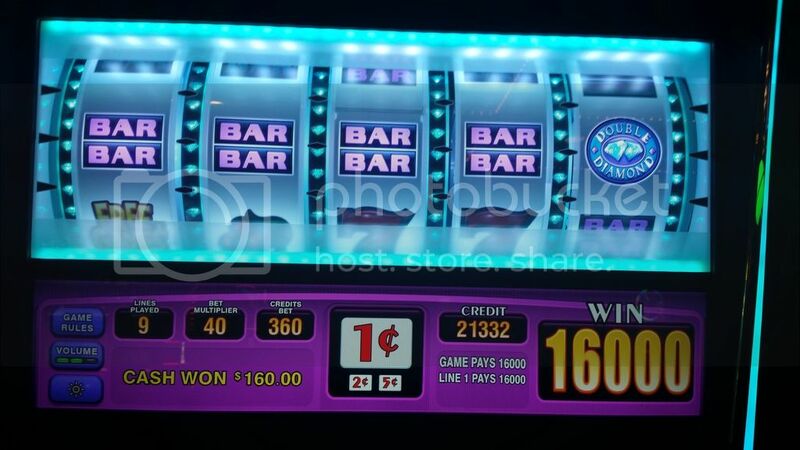 Since my trip covered the end of February and early March I was able to use both my February $40.00 free play and March $40.00 free play so it was nice having $80.00 in free play on this trip! 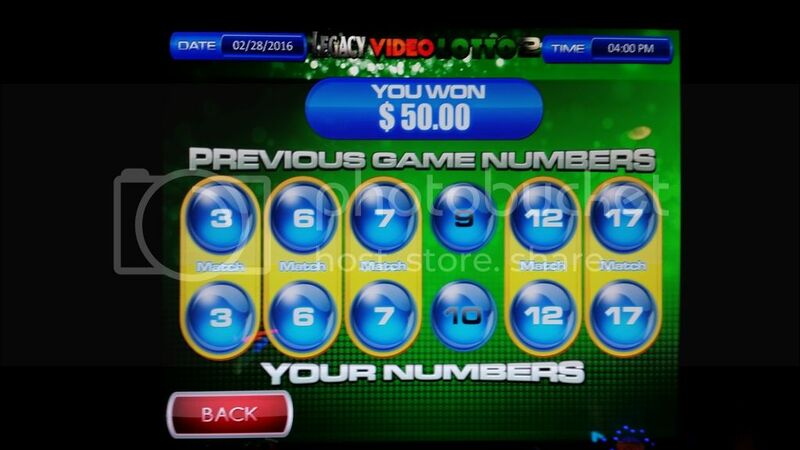 I also won $50.00 on the Legacy Lotto promo and more free play on the Random Riches and Break the Bank promos at SL. So over the 3 days I ended up with about $250.00 in free play. That has never happened to me before! 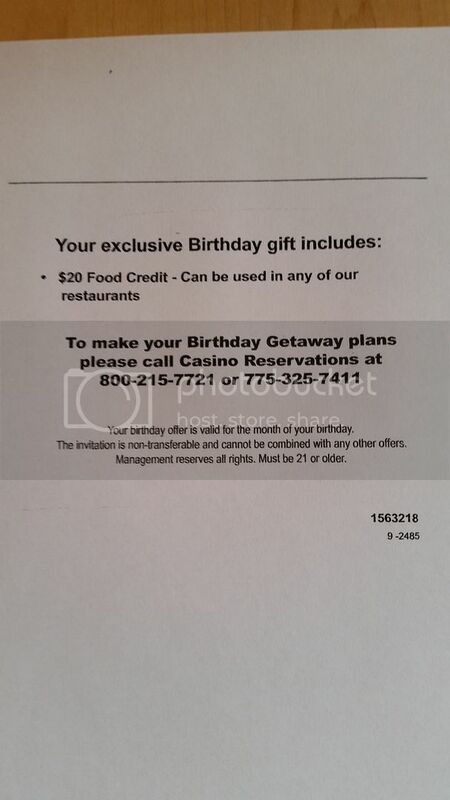 My birthday is in March so I also received this $20.00 food comp from SL as a birthday present and a card “personally” (ok that’s a stretch!) signed by Glenn Carano. Thanks Glenn for sparing $20.00 out of the SL coffers! Wednesday morning I had coffee in the room and enjoyed my last view from the room. 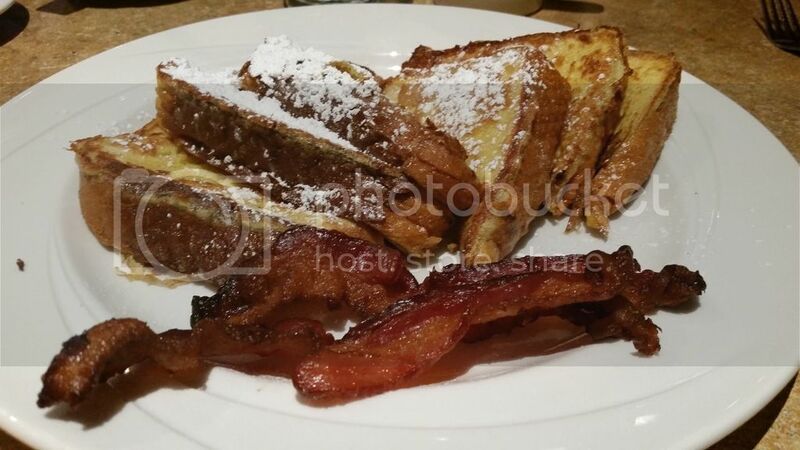 Then I went down to Café Central for my “goodbye Reno” breakfast. My goodbye Reno breakfast was a frittata. Well, as usual, those 72 hours sure went by fast! I was on the 9:00 morning shuttle to get to the airport for my 11:15 flight back to Seattle. 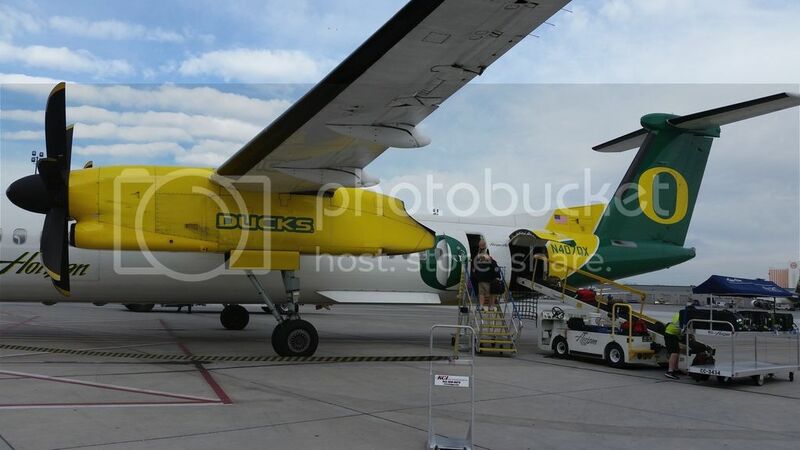 No Oregon Ducks plane this time! 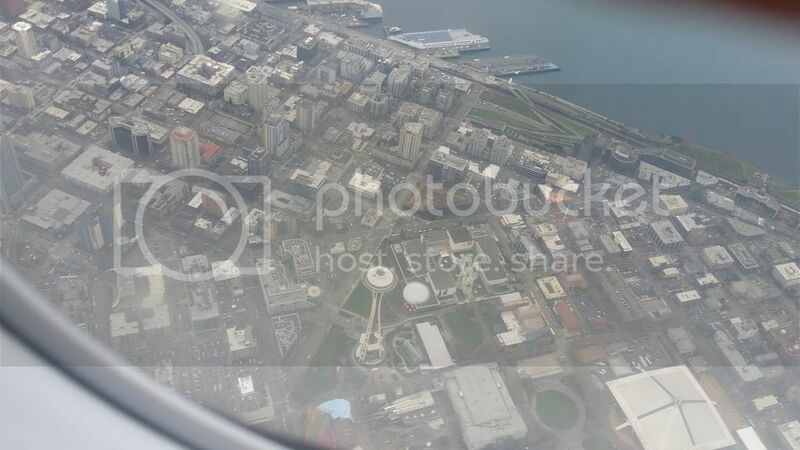 Well, I see the Space Needle so guess that means I’m back home to reality now. 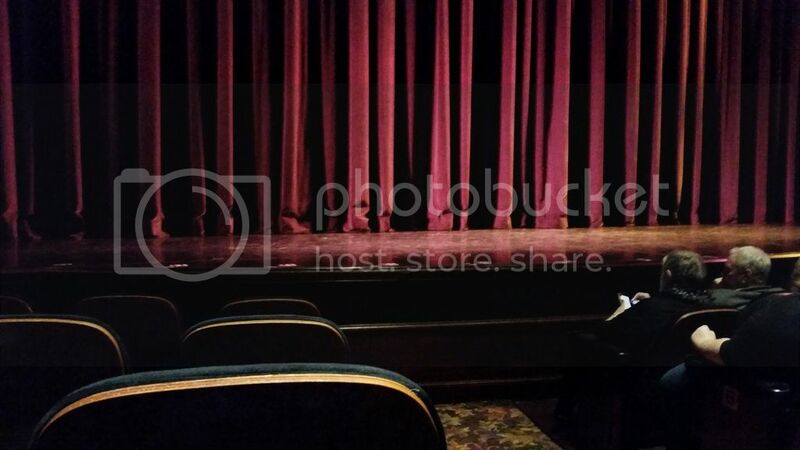 As always, a very nice time was had by me, myself and I in Reno! I absolutely love it there – always have and always will. I again left a contribution in Reno, although I only lost about half of what I lost on my prior trip back in October so there’s that. Comments on the spa suite. Although I really enjoyed the size of that room, the bathtub, and am glad I got to experience it this one time, I would never stay in those rooms again. All of the spa suites are located right near the elevator banks. Not just the public elevator banks but also the separate staff elevator banks. These rooms are so close to the elevators you can literally hear them going up and down in the shafts all day and night. They are also located near the ice machine and vending machine. Very high traffic area of course too being near all of this stuff. I also spoke to another lady who got one of these complimentary upgrades too and she asked to be moved the next day because of all the noise and she couldn’t get any sleep. I guess I’ve always had good luck in Reno when it comes to quiet people in the neighboring rooms. So apparently it was my turn this time to have the “neighbors from hell.” A couple with 2 young kids who loved yelling and screaming at the top of their lungs, throwing balls against the walls, opening their connecting door and then knocking on my connecting door. The parents did absolutely nothing to control their behaviors. The walls are paper thin so I got to hear the parents dropping “f” bombs and brag about “doing shots” and getting drunk in front of their kids. Knowing I was dealing with “quality” people and “quality” parenting here, I decided not to go knock on their door to ask them to quiet down. So between all that and the noises from the room location, I got very little sleep on this trip. See you again in September, Reno! I will be there to experience my first ever Great Reno Balloon Race. I look forward to watching all those balloons take flight above the Biggest Little City in the World! Great trip Report, I love the same Haunts, and going alone, doing every thing on your own schedule. I use the bus system quite a bit and make the rounds of sparks, and Peppermill, and Atlantis, and inbetween the Lucky Beaver Grill pub for lunch and some VP. I'm hopping for an April trip. You'll enjoy your Balloon Races, if you've never been. I've also just hung out at the top of Circus Circus parking garage with binoculars. I should have told you to get a drink at the Silver Baron Bar and ask Robert, the bartender and ask him if he has any $ 2 bills for sale. For the record, I have asked for a review of my SL play & lack of room comps. But to communicate w/ SL Hosts, you MUST USE their "contact us" window. Needless to say, the "we will reply in two business days" promise rings hollow. And I forgot to cut & paste the date/time sent so I have no record. My next trip, I intend to visit Robert at the Baron Bar, plop my mega stash o cash on the bar and tell him, "nice to see ya, but I'm playin where I'm stayin". Not like it's his fault. JOHN....you need to make a sales call on these guys. JD, monday after 10am, call the 800 # and ask to talk a casino Host. button Pushers when it comes to getting things done! My old host from JANugget actually moved over to SL. Maybe they just don't care about Locals? 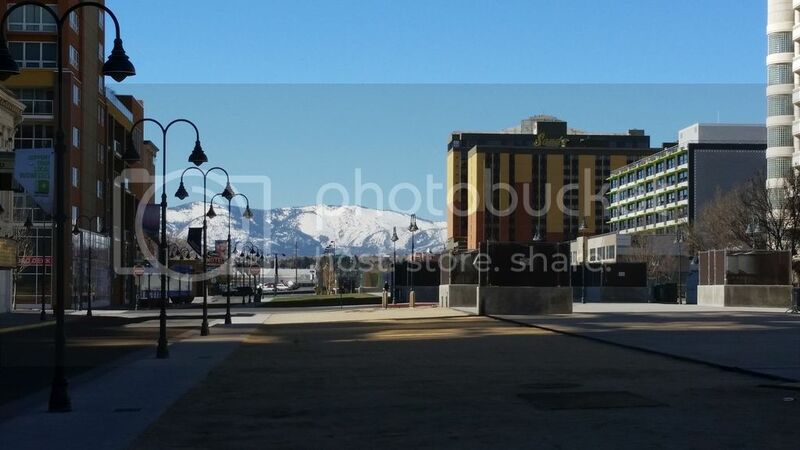 The picture with the snow covered mountains in the background is awesome! Nice to read a report from a true Reno devotee. Sorry to hear about your noisy neighbours. I was near the elevator shafts at Harrah's once. Though both these things are a real pain, it's sounds like you didn't let them interfer with your overall enjoyment of your stay. 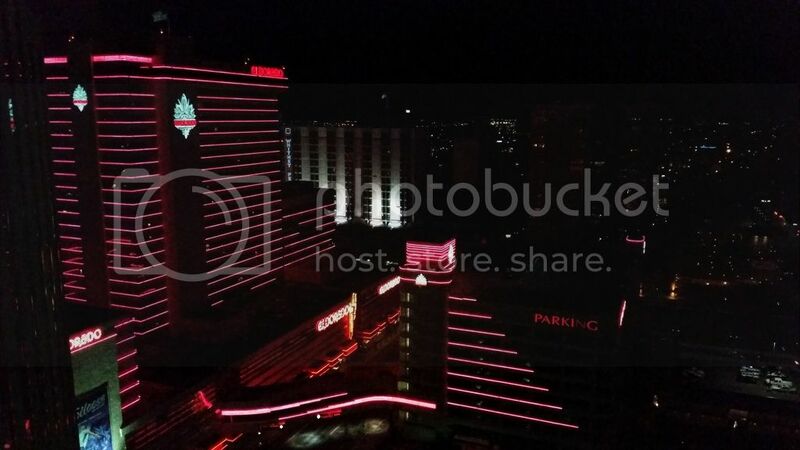 Great pictures, great commentary on our beloved Reno. Glad you had some free play and some wins to keep you going. Very nice report with good writing skills and pictures. 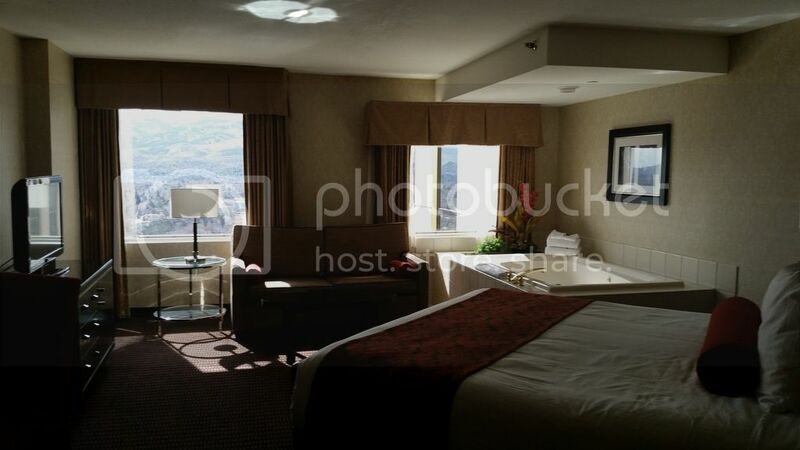 I stayed in one of the suites at the El Dorado one time and it was quite a bit bigger. The shower had spray on the front and back and could accommodate a basketball team all at once. 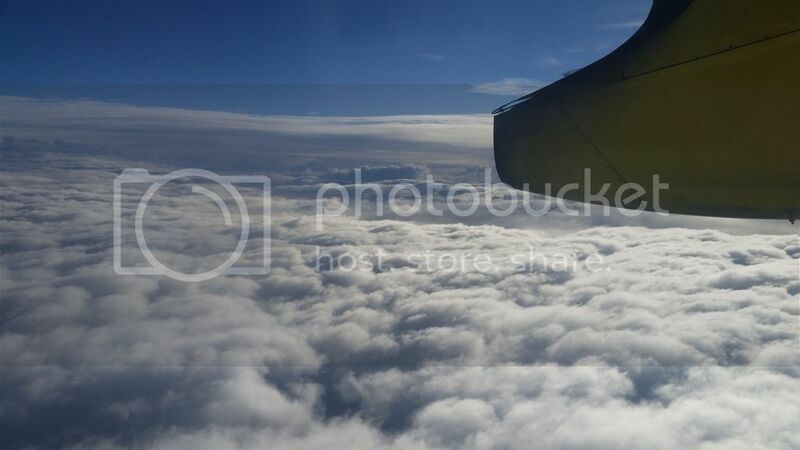 Posted: Mar Mon 07, 2016 11:42 am Post subject: I pronounce your trip report "Stan-tastic"
GREAT trip report, and thanks so much for the gorgeously-detailed photos. 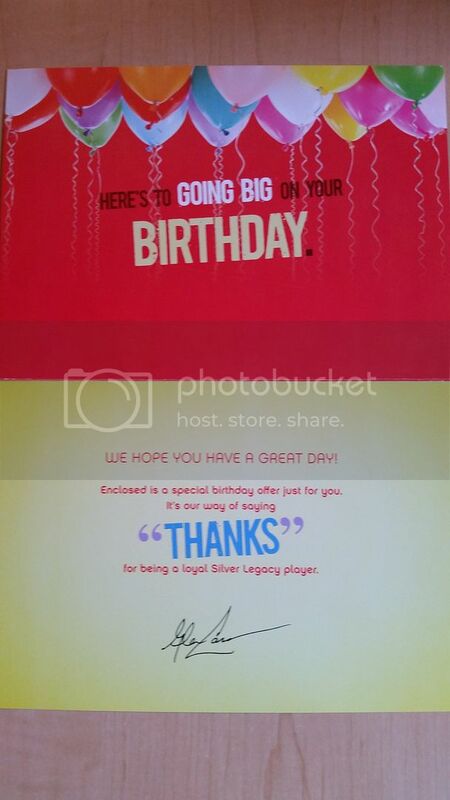 I also enjoy a March birthday, though I've never played enough to even get a coupon in the mail...I really need to get back there. Great job savoring all of our favorite haunts - we look forward to your next report! What a great trip report. Fun to read and loved the pictures. Flying in to Reno on a Duck plan would make me nervous as well! Sounds like you love Cafe Central? I haven't tried that but may need to on our next trip. Thank you for sharing! Thanks so much for the awesome trip report and pics, and happy birthday - like you and stan_allen, I'm also have a March birthday that's today actually - pulled off another one! Wow, I about dropped when I saw the photo of the rams. I really miss the Cal Neva, no doubt. And it's hilarious because I just got through installing one of those Gremlins machines a couple of weeks back here in Colorado. The stuff they're coming out with these days in slot machine technology is pretty unreal. Good score on the spa room upgrade, although sorry you got stuck with the noisy neighbors. 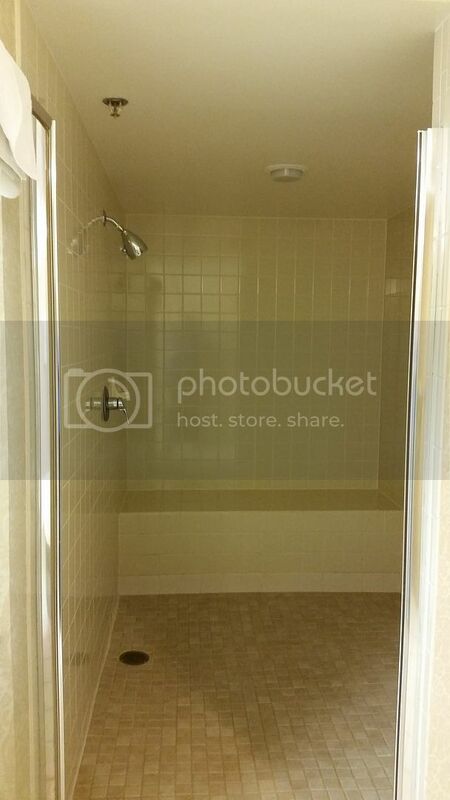 I remember wondering during my stay a few years ago why that shower was so huge, without being a steam shower? 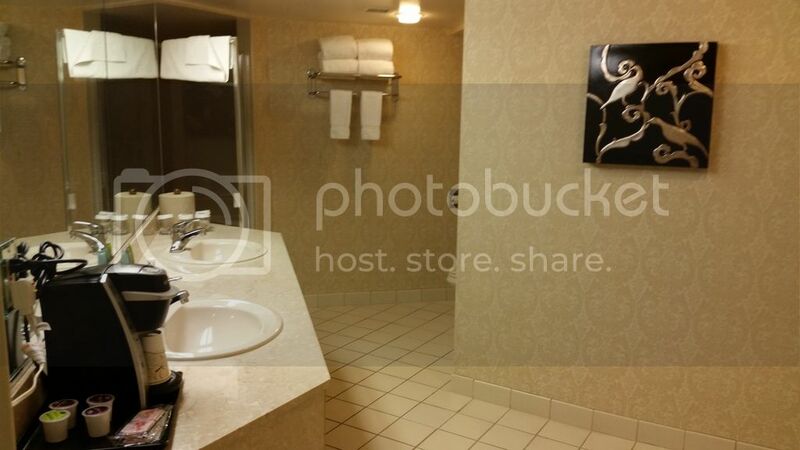 Just seems like they could've made the actual room a bit larger and the bathroom a bit smaller, but hey, a comp's a comp! Thanks again and congrats on the wins! Thanks for the nice comments everyone. Glad you enjoyed my trip report! TIMSPEED - Yes, this will be our first time at the Balloon Races. We plan on going to the Friday morning activities which apparently does not have the Dawn Patrol, but something called Super Glow Show. What are the differences between Super Glow Show and Dawn Patrol? Do you recommend we go to the Saturday morning show instead which does have the Dawn Patrol? JD - Any word back from SL yet on the reviewing of your play? That is just a mystery to me that you are not at a higher card level with your play. Dave - Yes, I do seem to eat at Cafe Central alot. 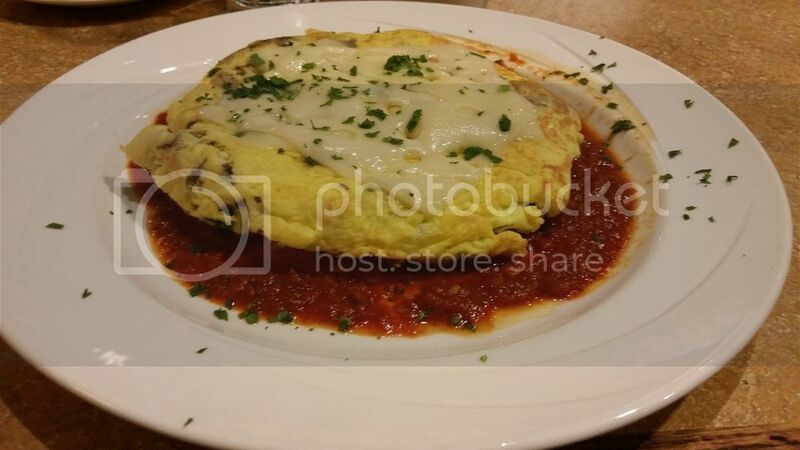 It's just your typical 24 hour coffee shop food, nothing spectacular. But because I always stay at SL and do most of my gambling there I just prefer to eat at SL restaurants where I'm getting comped meals from the points on my players card. Enjoy your upcoming trip! Mammothgambler - Belated Happy Birthday to you! Yes, it appears there are at least 4 of us here with March birthdays (you, BC Dave, stan_allen and me)! Yay for March birthdays! I think the Rams machines at Cal Neva are waiting for your return before they pay out anything big. You seemed to have good luck with those, I couldn't get more than $20.00 from them. 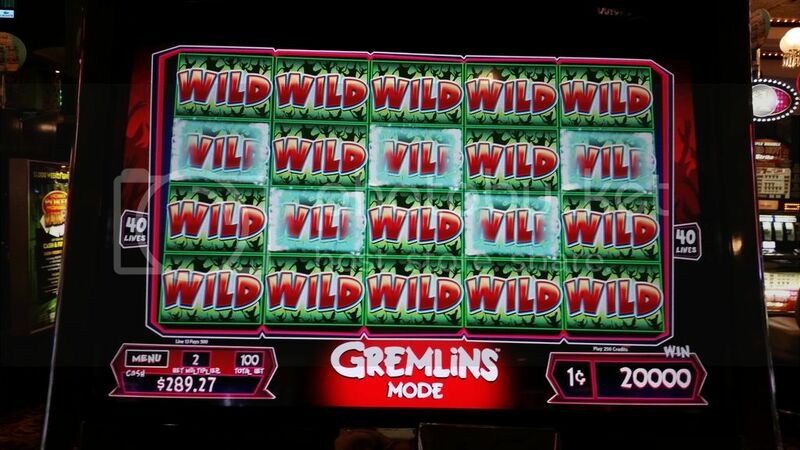 I was shocked at that "all wilds" hit on Gremlins. Especially because I had just sat down and had only put in $2.00 or $3.00 when that hit came up. it appears there are at least 4 of us here with March birthdays (you, BC Dave, stan_allen and me)! Yay for March birthdays! If I had to choose a day, it'd be Saturday..I'm sure "Super Glow Show" is the same as "Dawn Patrol"...but maybe the Glow Show, is them just firing the balloons on the ground, rather than firing them and then going up and firing them in the dawn sky.